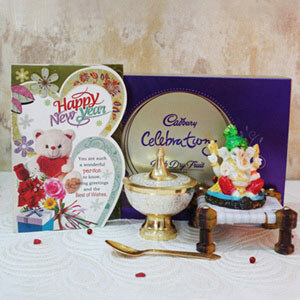 Home » New Year Gift Hampers » All In One Surprise! 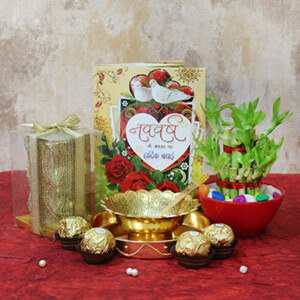 Wonderful surprise on New Year like this gift hamper is sure to help you win your loved one’s heart. 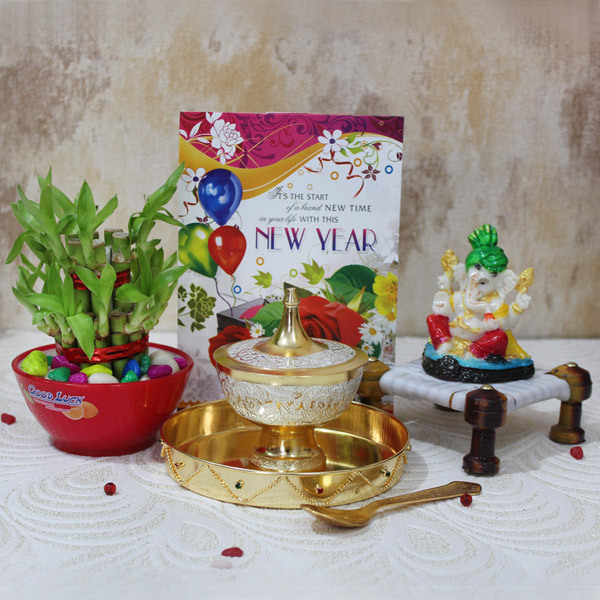 So, think no more to make this delightful, thoughtful and heartwarming gift hamper a way to convey your Happy New Year wishes to your close and dear ones. Each and every item in this combo deserves a round of applause. 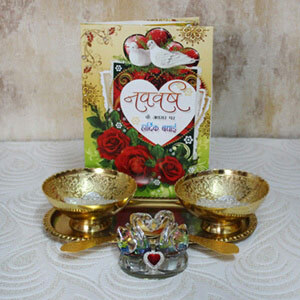 I ordered this product for my parents for New Year as this beautiful present stands for good luck. Thank you Giftalove for bringing up such amazing gifting items for your customers.